Groups of all sizes can benefit from reliable bus rentals. 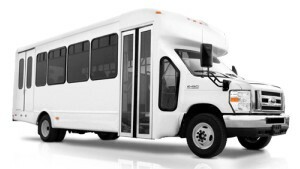 The 20-passenger minibus is ideal for small to medium-sized groups who want the reliability of bus transportation without renting a full-sized charter bus. Ride short-distances and establish shuttle services for a variety of events with ease. Champion Charter Bus is the experienced, reliable bus reservation company you’re looking for on your next trip. We’ve helped groups for corporate events, weddings, school trips, sports events, and more. Call us any time at 1-844-693-9330 to see how we can help you.